The lives of close to 400 pets from Los Angeles shelters and rescues were saved during the NKLA Adoption Weekend held at La Brea Tar Pits this past Saturday and Sunday. 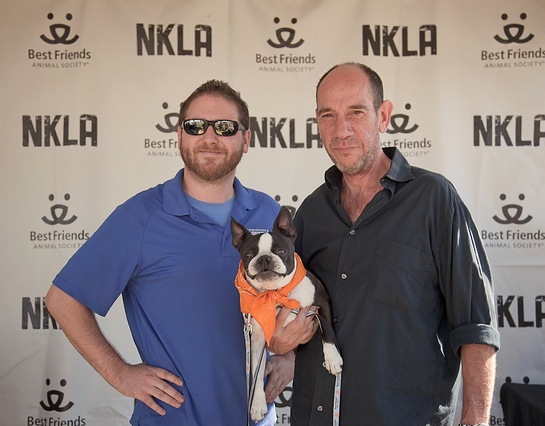 The popular event was hosted by Best Friends Animal Society and featured more than 40 rescue groups and shelters supporting NKLA (No-Kill Los Angeles), an initiative led by Best Friends Animal Society with a mission of turning L.A. into a No-Kill City by 2017. 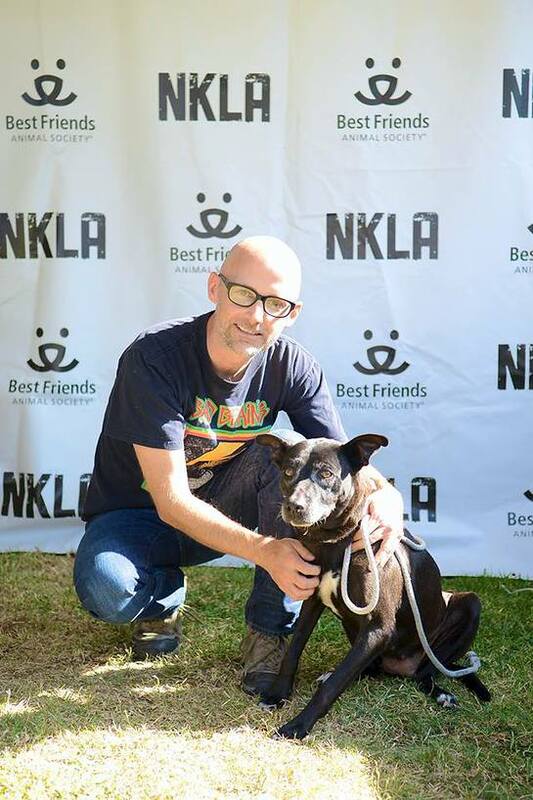 The NKLA Adoption Weekend is one of several Best Friends “Super Adoption” events held nationally throughout the year, with dozens of animal welfare organizations and thousands of adoptable dogs and cats participating in a festival-type atmosphere. Pets at the NKLA Adoption Weekend came from a variety of local shelters and rescues, including LA Animal Services, Best Friends Pet Adoption Center in Mission Hills, LA County Animal Care & Control, Angel City Pit Bulls, Border Collies in Need, Caring Friends Cat Rescue, Hanging with Friends Animal Rescue, K9 Connection, Kitty Bungalow Charm School for Wayward Cats, Labs and Friends.org, Tails of the City Cats, Wags and Walks Rescue, and many more. Pets from both city and county shelters were available with adoption fees starting at $25 and all were spayed or neutered, vaccinated, and micro-chipped. A cheer went up in the crowd at the end of NKLA Adoption Weekend when it was announced that all Los Angeles City and County shelter trucks were returning empty, as every available shelter pet had either been adopted or rescued. Several animal-loving celebrity supporters of Best Friends Animal Society’s lifesaving work including Miguel Ferrer, Moby, Charlotte Ross, Maria Conchita Alonso, Maggie Q and author Mieshelle Nagelschneider entertained and volunteered at the free, family-friendly event, which also featured L.A.’s hottest food trucks and the latest pet-related products and services from sponsors PetSmart Charities, Natural Balance Pet Foods, Banfield Pet Hospital, Mammoth Pet, and Dog for Dog. 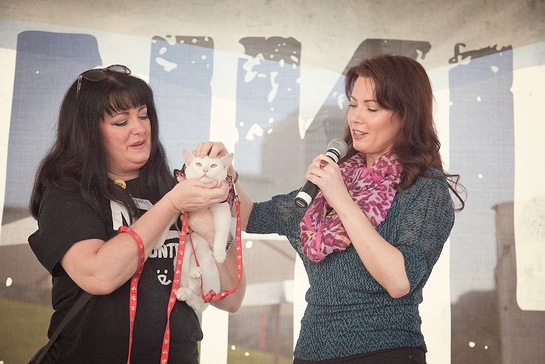 Mieshelle Nagelschneider, pet behaviorist and author of The Cat Whisperer, was on hand for the entire weekend and thrilled to see so many felines find their forever families. “Many people don’t realize that shelter cats have a more difficult time of finding homes than dogs. The more cats and kittens get adopted at events like this or rescued through shelters, the closer we are to turning L.A. into NKLA,” Nagelschneider said.